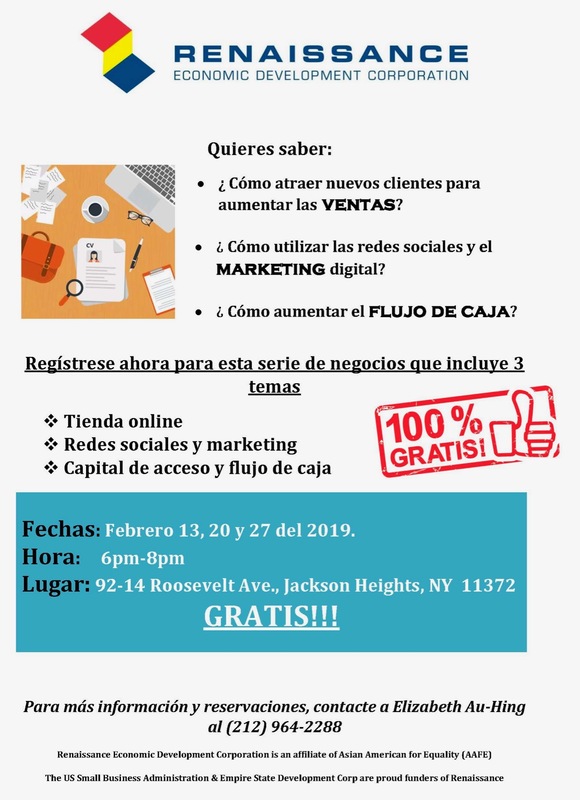 AAFE affiliate, Renaissance Economic Development Corporation (REDC), has announced a new small business education program tailored for Spanish-speaking entrepreneurs in Jackson Heights and surrounding neighborhoods in northern Queens. The series (taking place Feb. 13, 20 and 27) is completely free. The classes are focused on bridging the digital divide, helping entrepreneurs stay sustainable and successful in our community. 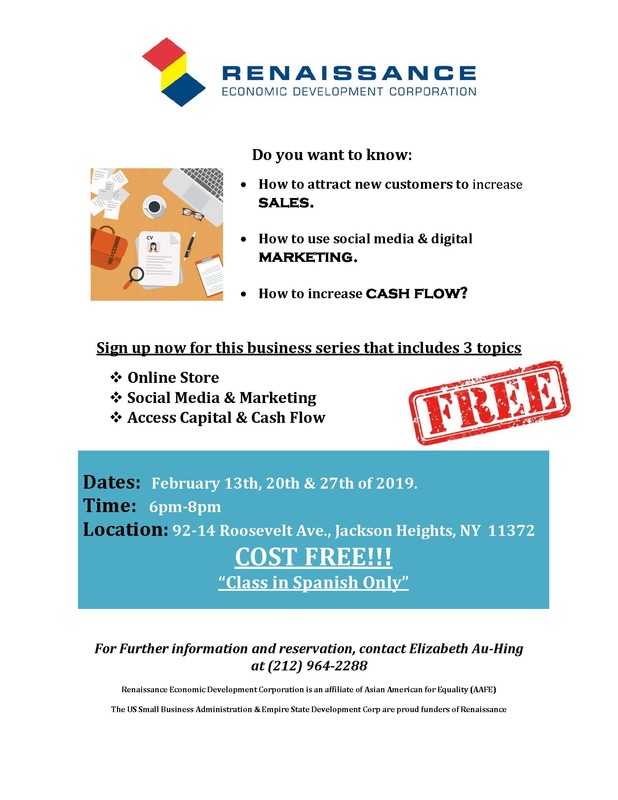 Topics include: Creating Your Online Store (Feb. 13), Social Media & Digital Marketing (Feb. 20) and Managing Your Credit & Business Cash Flow (Feb. 27). 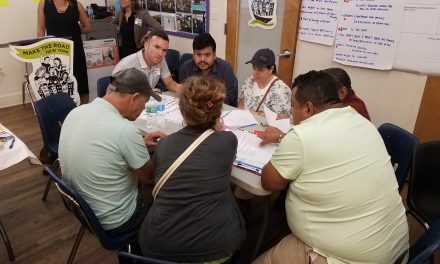 The classes will be held at 92-14 Roosevelt Avenue in Jackson Heights. To make a reservation, please call Elizabeth Au-Hing at 212-964-2288. These courses will be offered in Spanish only. 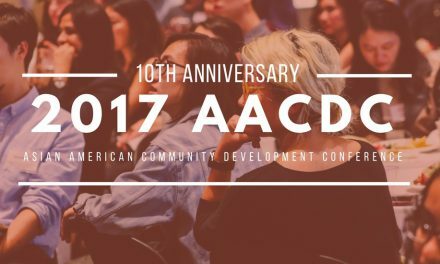 REDC is a U.S. Treasury-certified Community Development Financial Institution dedicated to transforming immigrant, low- and middle-income communities in New York City. 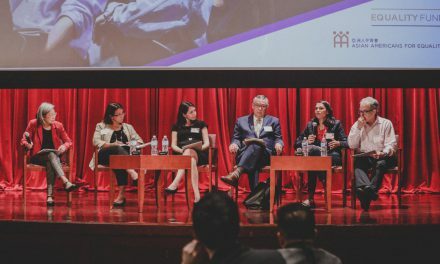 Since 1997, REDC has been providing low-interest small business loans and entrepreneurial training programs in underserved areas throughout the five boroughs. 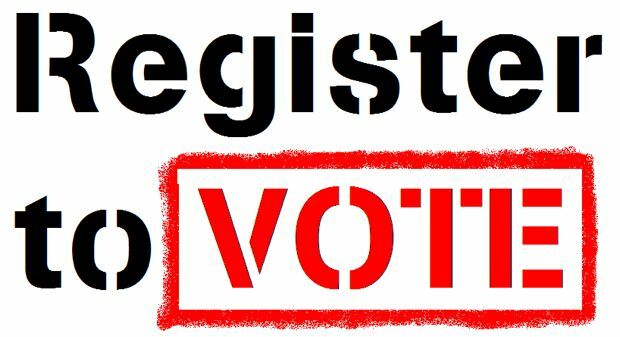 Time is Running Out: Register to Vote by October 12!